Steelite is proud to announce that two proprietary flatware patterns were selected as Tabletop Award Winners of the Foodservice Equipment Reports’ 2017 Smallwares & Tabletop Competition! Foodservice Equipment Reports (FER) is a monthly trade publication serving the information needs of dealers, distributors, consultants and multi-unit operators who are the decision makers in purchasing foodservice equipment and supplies. To qualify for the contest, entries had to be introduced after NRA 2016 and designed specifically for front-of-house use at commercial foodservice operations. 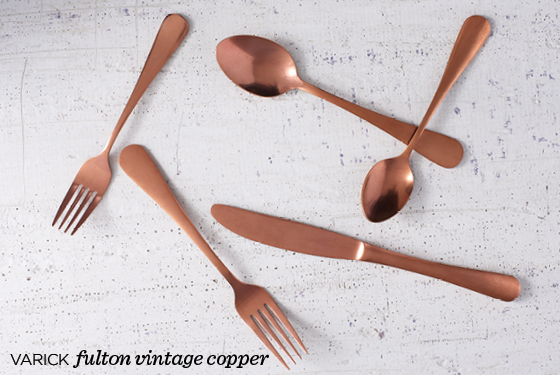 A panel of four judges made their selections based on qualities including uniqueness, innovation and aesthetics, and deemed Pirouette and Fulton Vintage Copper worthy of a tabletop award. Eleven winners were chosen out of 52 finalists, and will be featured in the October 2017 editorial coverage of the contest. 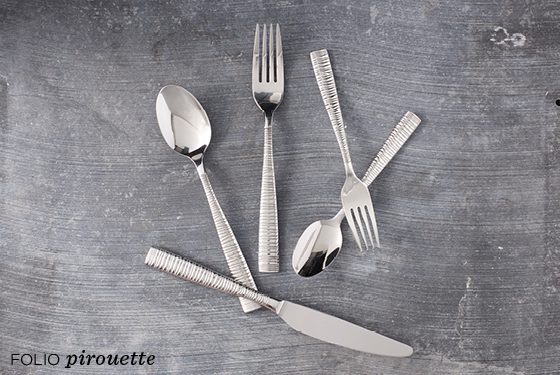 This is the first time that Steelite proprietary flatware has been chosen as a Tabletop Award Winner, helping to solidify our growing presence in the flatware market! To view the formal announcement, please click here. To see the coverage from the 2016 contest, please click here. Steelite is honored to be recognized for uniqueness and innovation in design, and continues to be committed to excellence in the foodservice industry!